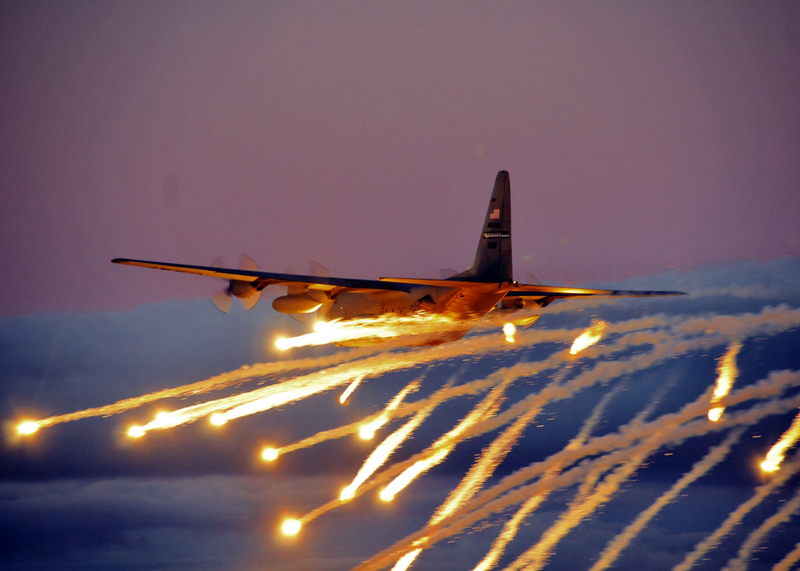 Who needs the 4th of July fireworks show when you can get these kind of pyrotechnics on a regular basis if you join the U.S. Air Force? On this day in 1954, the C-130 Hercules flew for the first time and more than 50 years later, the bird still flies every day in support of the Air Force mission. It goes to show that just because something is old, doesn’t mean it can’t still get the job done. The current iteration of Lockheed Martin’s C-130 is 112 feet long and has a 132-foot wingspan. It can fly in excess of 350 nautical miles per hour, can carry a 42,000 pound payload and has a normal range of about 2,000 nautical miles. It has played an integral role in nearly every major combat and humanitarian operation conducted by the U.S. military in the past half-century. Read more about the C-130 here. Click on the photo to download the high-res version. WHAT A FANTASTIC PLANE. It has served our Military well to provide a platform for AirBorne, Cargo Transport of supplies for our Military and Humanitarian needs. I was priviledged to be a part of the R&D Department at Lockheed Georgia Division where the C-130 was built. My “SCREEN SAVER” is a Photo of this magnificent “HERCULES”. HAPPY BIRTHDAY to “HERKY”. Good to see the C-130 in the limelight. However, Dyess AFB in Abilene TX has C-130 crews who are being sent back to Afghanistan with less than their guaranteed turn time at home. The leadership there is pressuring junior officers to “volunteer” versus having to seek a required Secretary of the Air Force waiver to violate the turn time from their last deployment. This is obviously hard on families, but also short-sighted in the crews not getting the required training and preparation they need for another deployment on such short notice. That leadership needs to re-evaluate its methods, effects on readiness, effects on retention, etc., etc.